One of the most magical times to take kids to Walt Disney World is when they’re preschoolers, because they’re often tall enough to ride the majority of the rides in all four parks. But remember – just because preschoolers are tall enough to ride doesn’t mean they should. 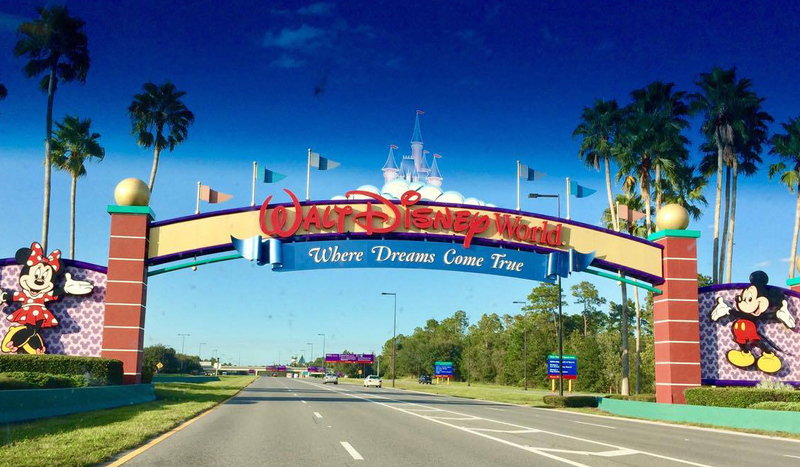 Our preschooler Traveling Mom, Britni, recently visited Disney World with her children. Here, she breaks down details on the best Disney World rides for preschoolers including whether each ride with a height limit is good for preschoolers or should be skipped. I’ve been to Walt Disney World with my preschooler four different times in the past two years. I believe that the preschool age is one of the most magical times to visit the happiest place on earth. Preschools are often tall enough to ride the majority of the rides, while still being young enough to believe that characters are actually characters from their favorite shows, not just costumed people. During our last visit, my son hit the major milestone of being 40 inches tall, which opened up a whole new world of rides to him. Being the ride-loving mom I am, I decided to take him on every attraction he was tall enough to ride. That was a mistake, because now all he remembers is how scary some of the rides were. That’s not the memory I really wanted him to have of some of my favorite rides like Tower of Terror. I’ve put together a breakdown of all rides with height limits 40″ and under that kids can ride, including details that will hopefully help you make a decision on whether the rides are appropriate for your kids to ride. Every preschooler is different, so these are just guidelines; you can make the decision for your own family on whether or not your preschooler will be able to handle these rides. These are just the rides with height limits. Make sure to also read this guide to Walt Disney World Rides for all ages that includes all of the rides without height limits! These tips for visiting Disney World with preschoolers may also help! Magic Kingdom by far has the most rides for preschoolers and only a few with height limits, which is why I recommend planning two days at Magic Kingdom so that you can ride everything. If you don’t have two days to spend at Magic Kingdom, use these tips for visiting Walt Disney World in one day. These rides are ordered by location in the park so you can choose where to start first. If you need a recommendation on where to start, this Magic Kingdom touring plan can help. Tomorrowland Speedway (32″) – Driving old-fashioned cars around a long track. Preschoolers will love everything about this ride other than the line, which doesn’t include any of the fun and interactive elements that so many line queues at Walt Disney World now include. Try to fast pass it if you can later in the day. 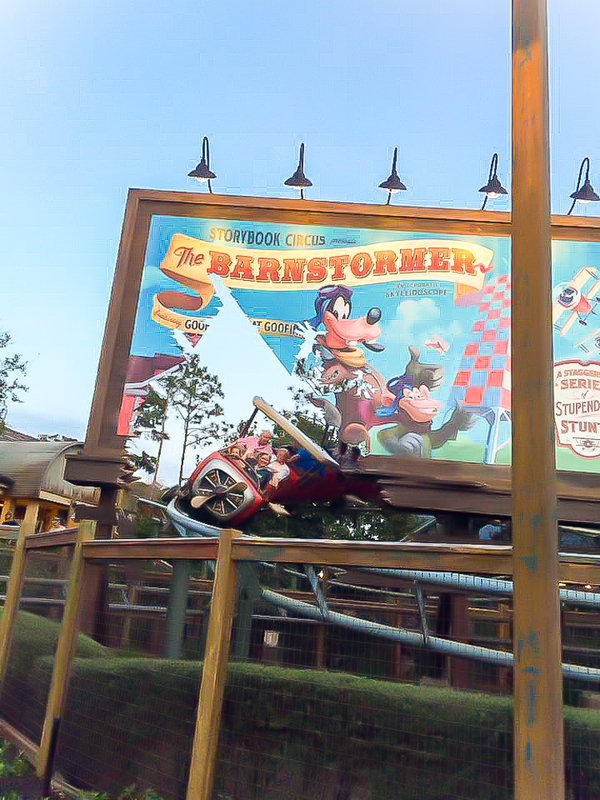 The Barnstormer (35″) – A small kids’ roller coaster that is quick and smooth. It’s definitely the most tame of the coasters at Walt Disney World and a great starter coaster for preschoolers. Seven Dwarfs Mine Train (38″) – The newest roller coaster at Magic Kingdom and, in my opinion, the smoothest. It feels more like a swing on a roller coaster track than a roller coaster, gliding along without the typical jerkiness and thrill of a regular roller coaster. My son, who doesn’t normally like coasters, loved Mine Train. It’s also normally a really long wait, which is why we include it as a fast pass to get in this guide to fast passes at Walt Disney World. Big Thunder Mountain Railroad (40″) – An actual coaster with some medium-sized drops, fast turns, and hills. If your preschooler likes thrill rides, Thunder Mountain Railroad is a great one, but it may be a little scary for younger kids. If you do ride it, be prepared to sit close and hold on tight to your preschoolers as their small bodies will likely be tossed around a bit. Splash Mountain (40″) – A log flume that follows the story of Briar Bear and Rabbit, a story that most preschoolers won’t recognize. 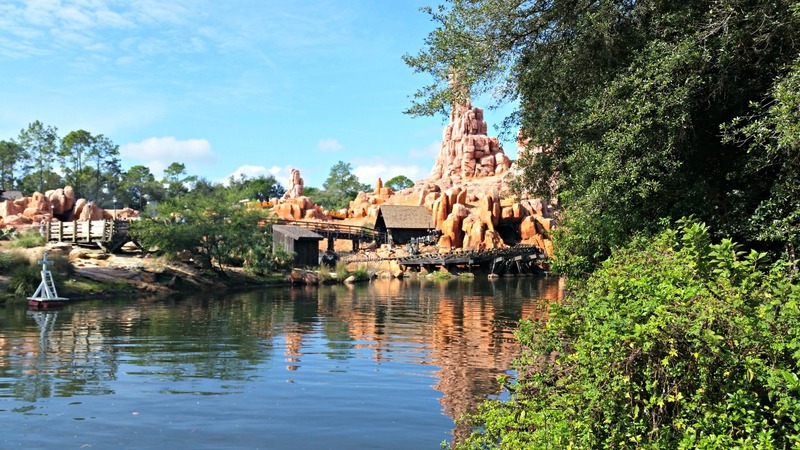 The log flume part is great and one of my favorite rides at Disney World, but know that there is a big drop that can be scary for preschoolers and you will get wet. This is one of the rides I think I took my preschooler on too early since his reaction was that it was the worst ride ever. There are just a few rides at Epcot for preschoolers with height limits, don’t forget to check out this guide to rides at Walt Disney World for all ages for details on all of the other rides. Soarin’ (40″) – In general preschoolers will love this ride, which makes you feel like you’re flying over locations in the world. It’s one of the most visually stimulating rides there is and – other than a few scary moments like when you almost “hit” whales jumping out of the water – it’ll likely be a preschooler favorite. Test Track (40″) – Test Track allows guests to design their own test car, then ride in that car through a series of tests like driving in inclement weather, brake testing, and more. The ride ends with a speedy lap outside that is very fast. It is thrilling, but less scary than any of the coasters at Magic Kingdom. This was my son’s favorite ride of all the rides at Walt Disney World. One tip – kids may want to wear sunglasses because it can be really bright outside. 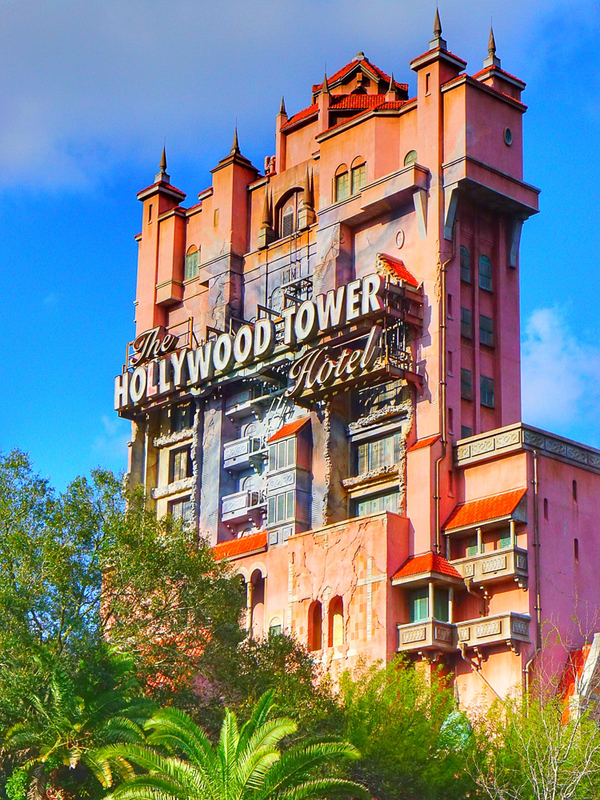 In addition to a number of incredible shows and our favorite Toy Story Mania, Disney’s Hollywood Studios has two fantastic rides with 40″ height limits. One is a must-ride and one is a must think carefully before you ride with preschoolers. Star Tours (40″) – This Star Wars inspired ride was another favorite of my preschooler son. You strap in, put on 3D glasses, and go on a journey led by C-3PO to complete one of 20+ different missions. If your kids like Star Wars, they will love this. If they think Star Wars is scary, this might be scary as well, since many of the movies feature Darth Vader and other members of the dark side. The ride is a bit jerky, but not in a scary way, and most preschoolers will love this. The Twilight Zone Tower of Terror (40″) – This was another ride that was dubbed “worst ride ever” by my son. I got him on the ride by convincing him it was similar to Haunted Mansion, and he loved the spooky part of it. The part he didn’t love is when the elevator drops over and over again. I’ve seen grown adults who are too afraid to ride this ride, so use your best judgement before subjecting your kids to it. If you do ride it, make sure to hold on tight because those little bodies fly a lot higher than adult ones. This is the perfect example of just because kids can ride a ride doesn’t mean they should. Animal Kingdom is about the animals and experiences first and rides second. Make sure to do a Kilimanjaro Safari and then try a couple of these rides with height limits if you have time. Dinosaur (40″) – This was the most surprising ride for our family and not in a good way. My son loves dinosaurs as do many preschool aged children. He was scared to death on this ride, which has guests driving in Jeep-type cars on a mission to capture an Iguanodon. Dinosaurs jump out, the ride is jerky, and it’s dark with quite a few flashing lights. I wish we’d waited to take him on this one because overall it’s a cool ride, just scary. 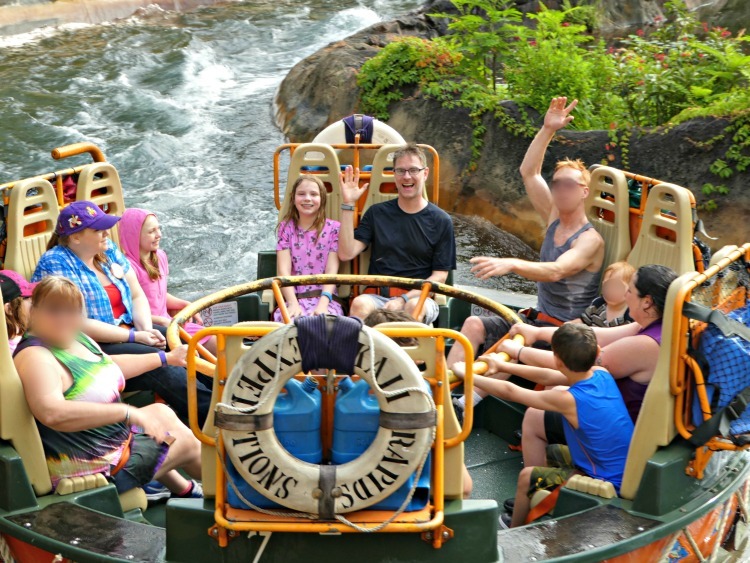 Kali River Rapids (38″) – A white water rapids ride that will get you wet, even soaked. If your kids like to get wet, this one is fun without being too scary. It’s not the best white water rapid ride I’ve ever been on but fun for kids and adults. Headed to the happiest place on earth? Traveling Mom recommends Undercover Tourist for discounted tickets. Britni grew up in a fun-loving family that went to amusement parks on the weekends and played games at night. From canyoning in Switzerland to sky-diving over the Las Vegas airfields, Britni’s best memories are from family adventures together. Those memories have inspired Britni’s love of travel and desire to find the most unique and memorable things to do in every destination she visits. She is also the mom of a preschooler boy and while her travels have changed, she now just finds memorable things to do with a preschooler as well instead of focusing on adult-friendly activities.